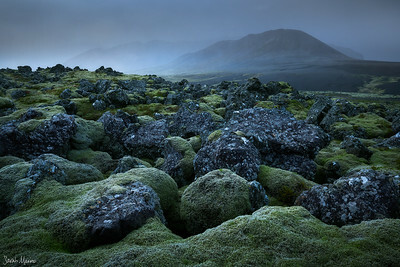 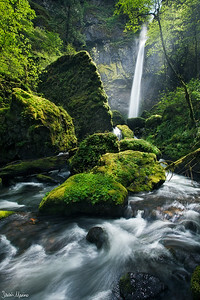 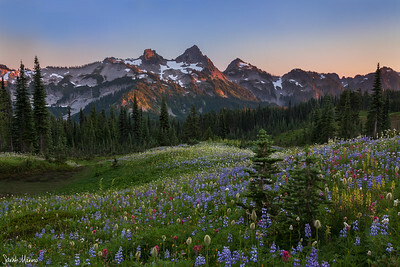 A selection to my favorite photographs of expansive and dramatic views of some of nature's most inspiring places. 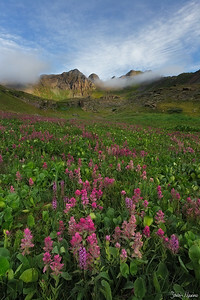 A lush field of rosy paintbrush and elephant head wildflowers grow below peaks of the San Juan Mountains in southwestern Colorado. 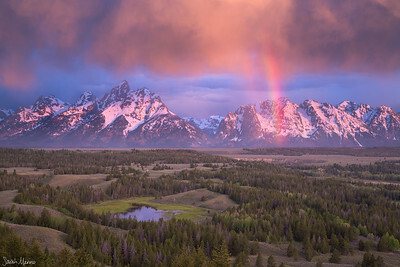 A stunning sunrise over the Teton Range in Wyoming. 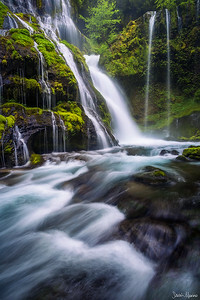 The first yellows of fall show up on the trees in the Zion Narrows. 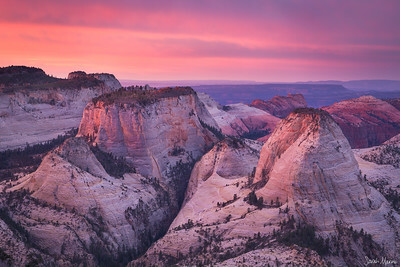 Sandstone temples loom over a labyrinth of canyons at sunrise in Zion National Park. 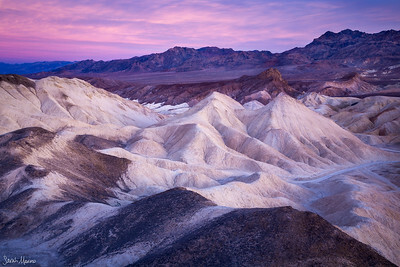 Expansive badlands in Death Valley National Park, California. 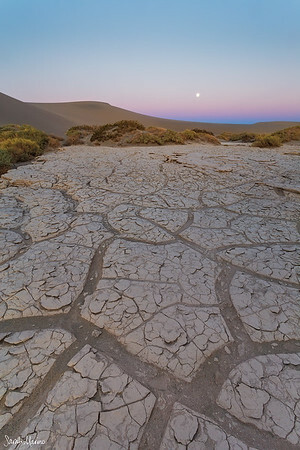 Tree skeletons at the edge of the Atlantic Ocean at Botany Bay in South Carolina. 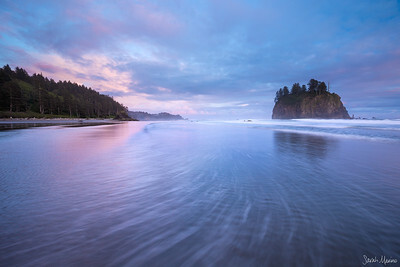 Slow waves wash up on a remote beach in Olympic National Park (Washington). 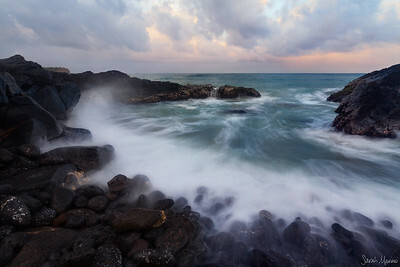 Waves rush into a small cove at sunset on the Hawaiian island of Kauai. 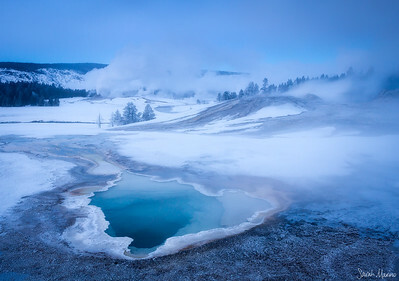 A silent and unbearably cold morning in one of Yellowstone National Park's geothermal basins. 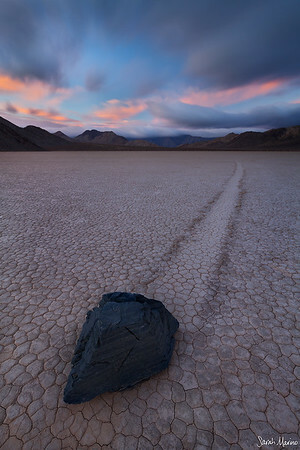 One of the famous moving rocks at Death Valley National Park's Racetrack Playa (California). 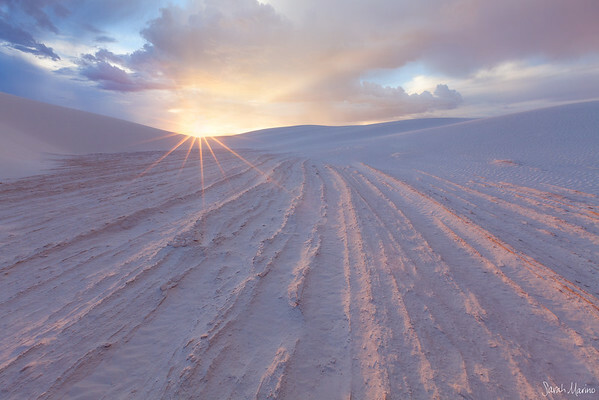 The last hint of light shines above soft sand dunes at White Sands National Monument (New Mexico). 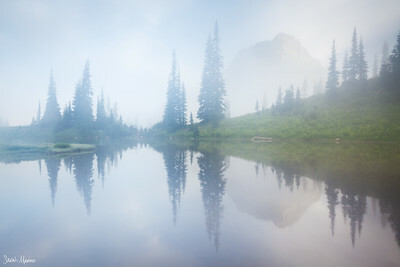 Still the lowest point in North America but certainly not the hottest or driest on this day. 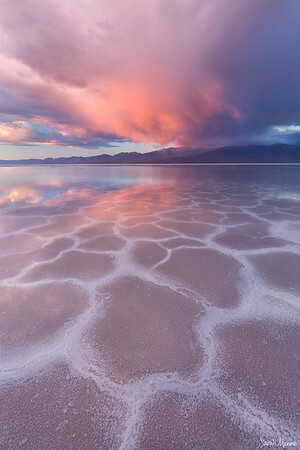 Death Valley National Park, California. 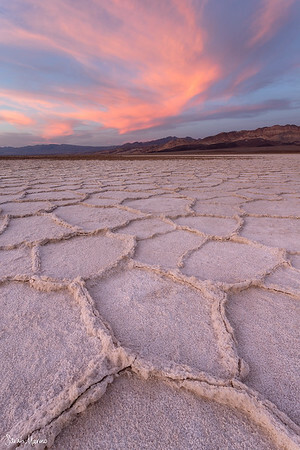 A small playa in a valley between sand dunes in Death Valley National Park (California). 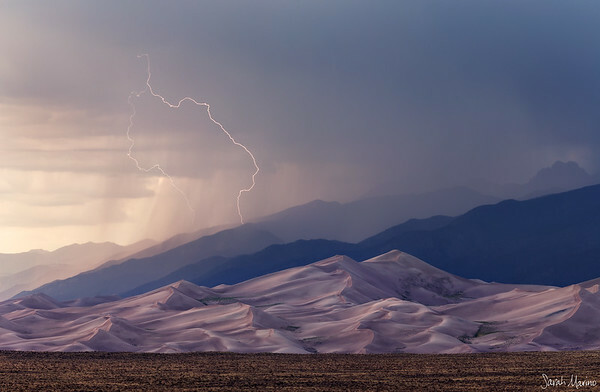 Lightning strikes the mountains behind the Great Sand Dunes in southern Colorado. 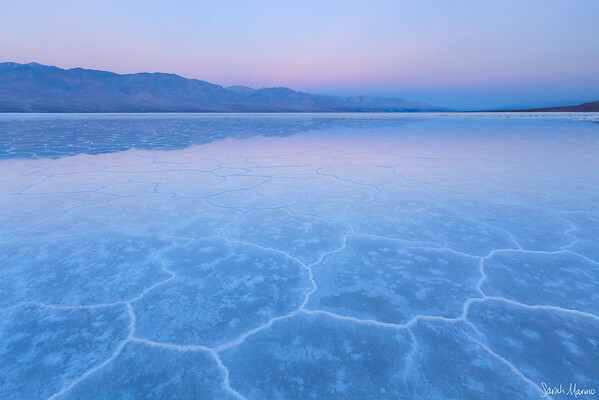 Salt polygons in Death Valley National Park (California). 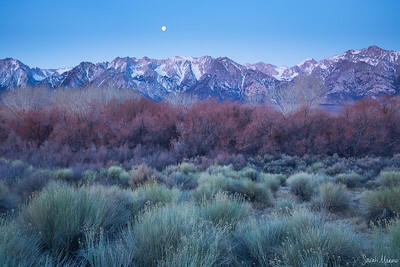 Colorful foliage in California's Owen's River Valley, below the Sierra Nevada mountains. 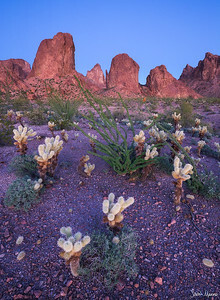 Fluffy (but extremely painful when touched) teddy bear chollas grow below the Kofa Mountains in Arizona. 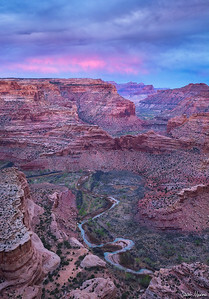 A breathtaking view into a canyon, somewhere on the Colorado Plateau. 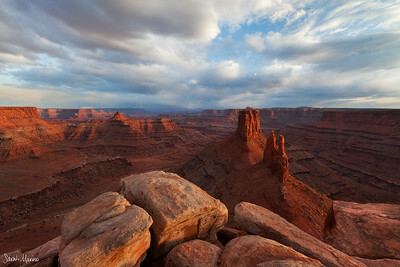 A storm clears over a remote overlook on the Colorado Plateau. 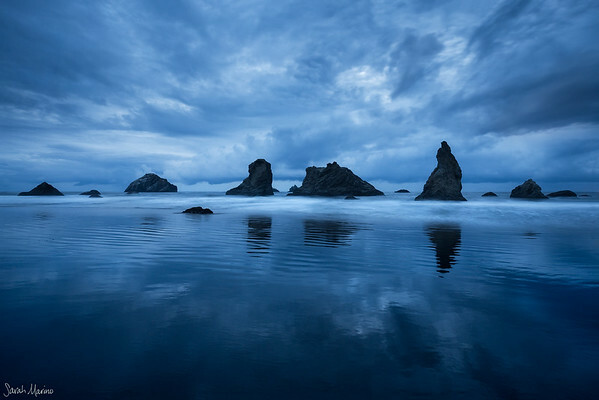 Massive seastacks loom over Bandon Beach on southern Oregon. 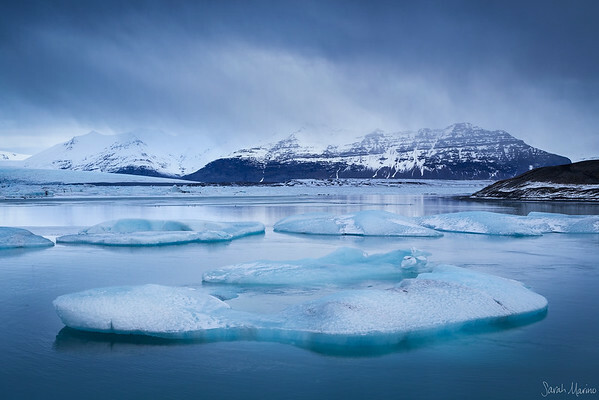 A large iceberg on its way out of the Jökulsárlón glacial lagoon (Iceland).